Rashtriya Swayamsevak Sangh (RSS) leader from Madhya Pradesh, Dr Chandrawat, has reportedly announced a reward of Rs 1 crore for the head of Kerala Chief Minister Pinarayi Vijayan. 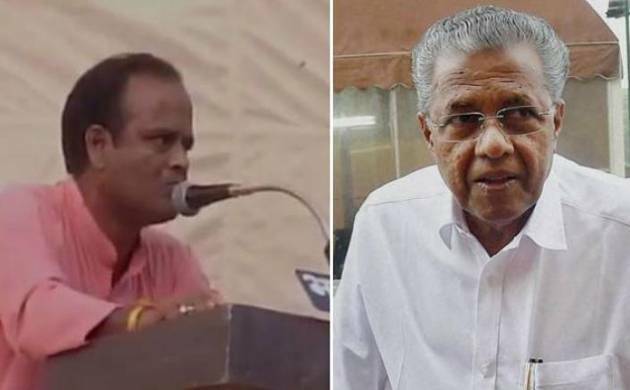 According to a report in India Today, Madhya Pradesh-based RSS leader Chandrawat said that CM Vijayan should be held accountable for the murders of RSS members in the state of Kerala. The RSS leader was speaking at an RSS event in Ujjain. The report also added that the remark was made in the presence of state MP Chintamani Malviya and MLA Mohan Yadav. Meanwhile, reacting to Chandrawat's remarks, Vijayan said "Sangh Parivar has taken heads of several." "The frustration of the RSS is coming out in open. CPI(M) condemns it and demands quick action. Will the BJP led state government in the state and at the Centre take any action against them? Will they come out and condemn it? If no, then it is clear which ideology they are propagating and whose government it is." Reacting on the development, general secretary of CPM and Rajya Sabha MP Sitaram Yechury called the RSS a terrorist organisation. “RSS reveals its true colours as a terrorist outfit. Will PM and his government stop remaining silent?” tweeted Yechury. Kerala has been witnessing violent clashes between the RSS-BJP and the CPM workers. The political murders claim lives of many RSS-BJP and CPM cadres. Last month, the death of BJP leader Santhosh was the eighth murder to have taken place after the Pinarayi Vijayan government took over in May, 2016. The BJP’s student body ABVP has also put up posters of RSS leaders’ harassment in Kerala along the route of their Save DU march in New Delhi on Thursday.